If your application requires high air flow with low vacuum/pressure, then consider Becker's SV Series of single stage regenerative blowers. 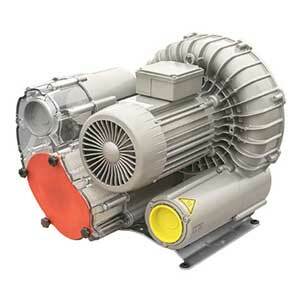 Single stage regenerative blowers require little maintenance and monitoring. In addition, they are 100% oil-less. Can be converted to 2-stage operation.